PGW guys just were here to replace our gas meter, apparently they have to every 10 yrs because there’s an internal battery involved that dies and then they can’t monitor your usage. Anyway the appointment was for 4-8, I had to leave work early and had given up hope theyd even show when lo and behold at 8:15 guess who calls… Yes it was PGW… so now we have a brand new meter… See it even says 0000!!! Joy of joys. Oh did I mention the reason they knew we needed a new meter was because I hadn’t gotten a gas bill since we bought the place, and I called this week To Find Out Why. Turns out they had our address wrong (keep in mind i set this up myself over the phone only two months ago) and our bills were going to our renter neighbors accross the street at 2312. 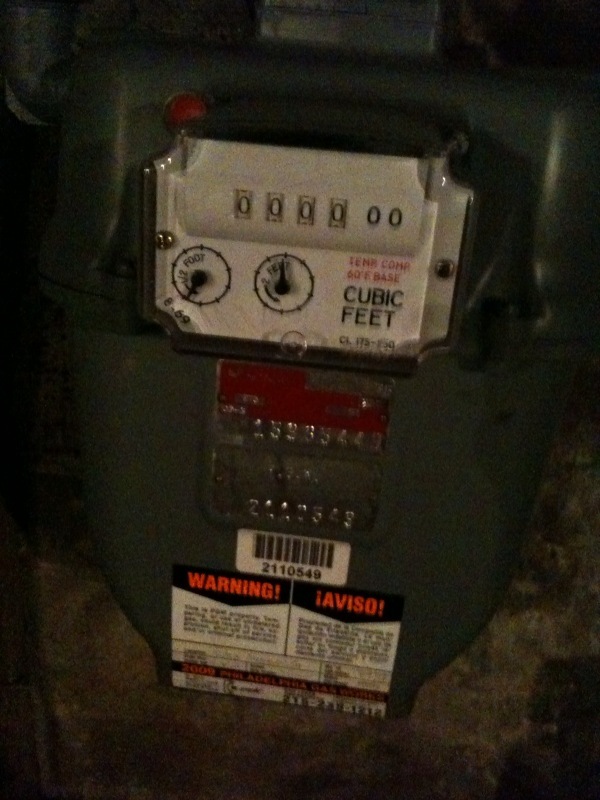 Once they had the address corrected, PGW said we had to have our meter replaced asap… Which led to today’s adventures. Yay!